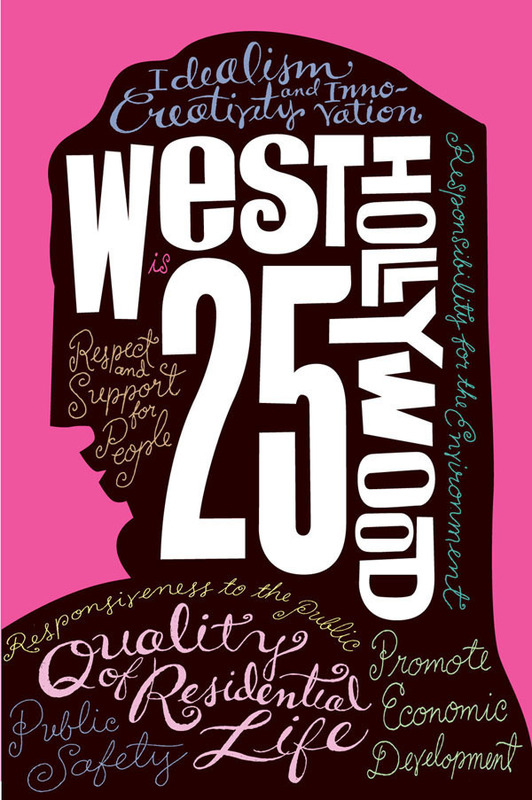 The City of West Hollywood is celebrating their 25th year of cityhood and my friend Rikki Poulos called for a poster to commemorate the event. 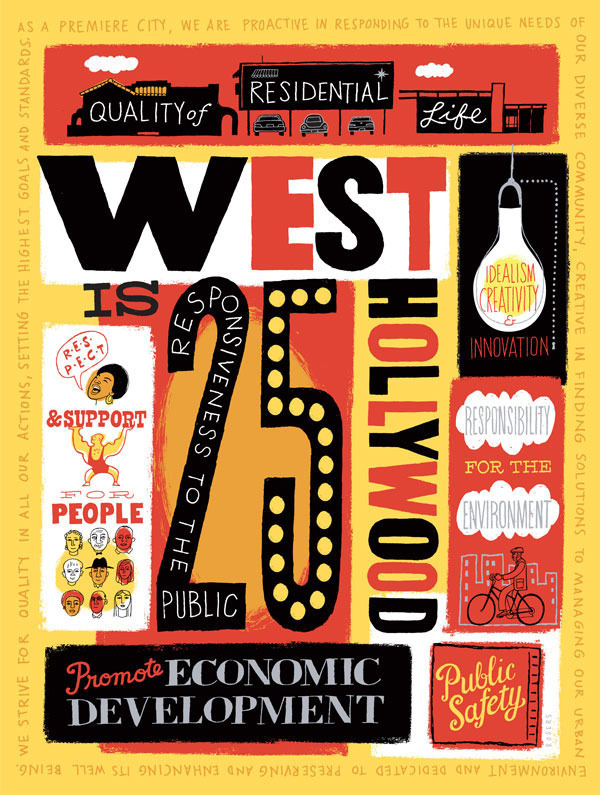 The problem was to create an image that would communicate the city’s diversity and core ideals. 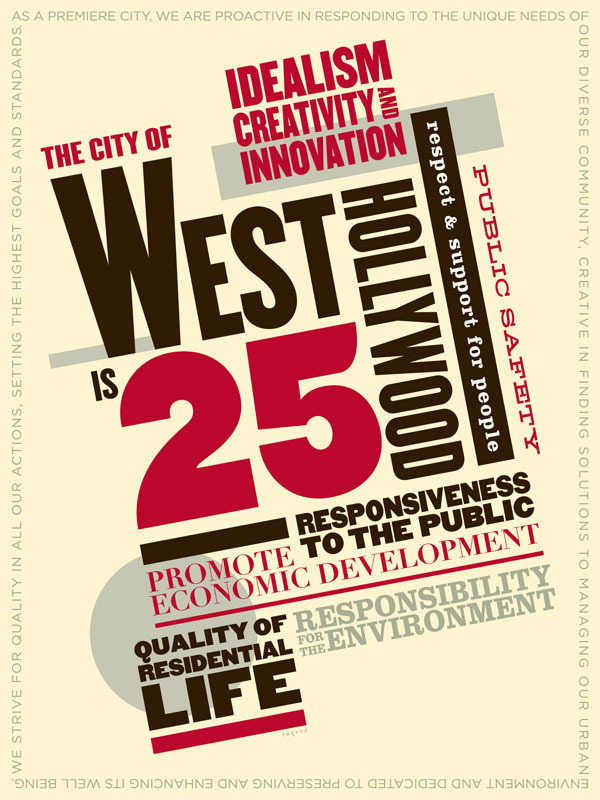 I laid these four ideas on them and Helen Goss, the City’s Director of Public Information, decided to print them all. I like the split fountain one and the angled type ones best. I especially like the last two, Paul. Great design exercise, here! And what a cool client - seems like they trusted you to deliver the goods and they were pretty hands off. Very nice that they printed all four, too. They all conjure up a feeling or thoughts. That first one has me in an old junk store looking for treasure. 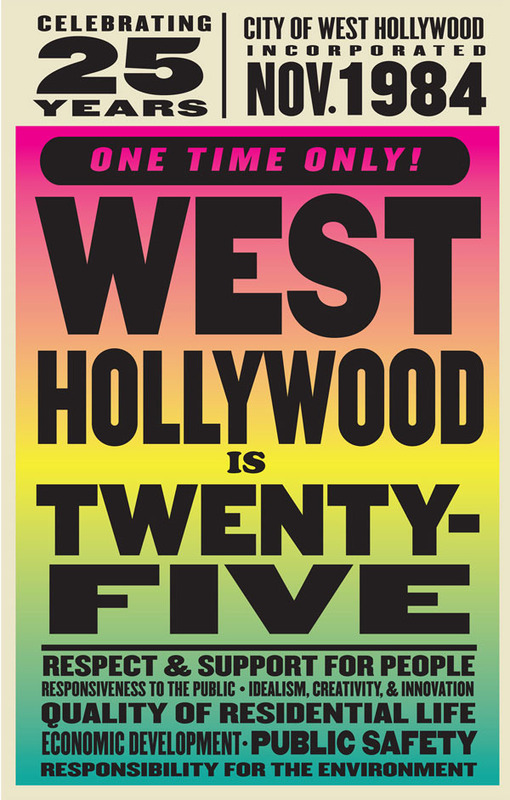 You're appreciation of type, and design is broad, and diverse. They look great Paul. I've been seeing them around.